The Skyscraper Museum has updated the historic Heritage Trails map and released it as an interactive online resource. 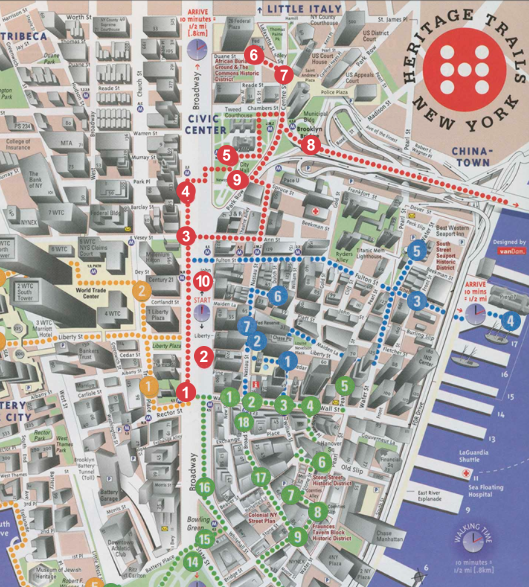 The original 199os map created by Richard D. Kaplan covers landmarks in Lower Manhattan and was intended to draw tourists and visitors to the area after the 1987 stock market crash and the recession of 1994. Along with moving the map online, the Skyscraper Museum has added sites from 1998 to the present day. The walking trails used in the original map are preserved in the new online version. Richard D. Kaplan was an architect whose family established J. D. Kaplan Fund, a private foundation in New York supporting the arts, civil rights, parks, and preservation in New York. The interest in mapping out New York City’s buildings using technology has not only been a venture of the Skyscraper Museum. Another interactive map that explains New York’s landmarks has been created by the New York City Landmarks Preservation Commission (LPC). The LPC map allows users to find landmarks by architect, style, and other categories. Meanwhile the Concrete New York Map created by Blue Crow Media looks strictly at brutalist architecture across New York City. The Heritage Trails map points users to four possible trails. The Green trail covers the east side of the Financial District and moves down south to Battery Park City; sites here include Battery Park City and the Statue of Liberty. The Blue trail is focused on Chinatown and the Seaport, including the Fulton Fish Market and the Federal Reserve Bank. The Red trail covers Broadway and Chinatown, stopping at Little Italy, and includes Newspaper Row and St. Paul’s Chapel. The Orange trail is on the west side of Lower Manhattan and includes the World Trade Center and the American Stock Exchange. The interactive map offers a new way of looking at city landmarks. 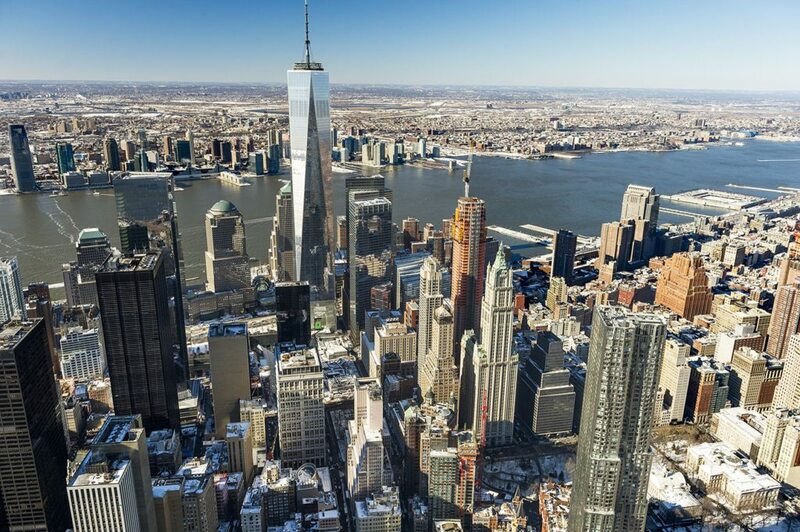 For example, one sight poses the question, “What has 200 elevators, 1,200 restrooms, 40,000 doorknobs, 200,000 lighting fixtures, 7 million square feet of acoustical tile ceilings, more structural steel than the Verrazano Narrows Bridge?” The answer: The World Trade Center.